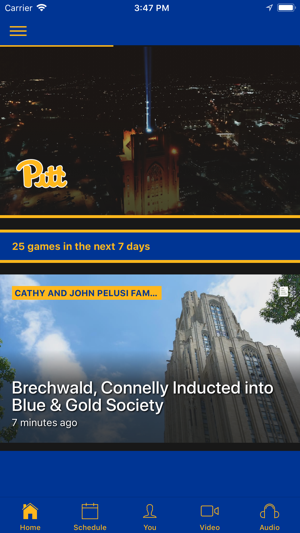 The official Pitt Panthers app is a must-have for fans headed to campus or following the Panthers from afar. 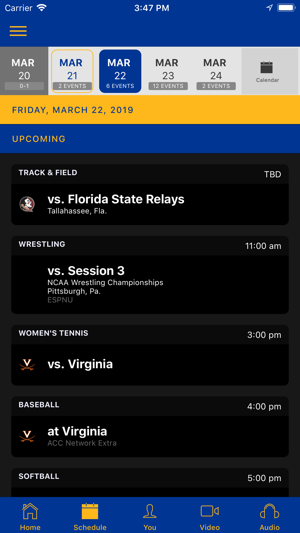 With free live audio, exclusive video, interactive social media, and all the scores and stats surrounding the game, the Pittsburgh Panthers app covers it all! Download the update and check out the new visual brand identity of Pitt Athletics! I like the app but it was next to impossible to sign into it. It said I already had an account. And when I couldn’t remember my info. It wouldn’t let me update it. The only way I could get in was by opening a Facebook account which I didn’t have or want in order to get in. I hope you make it easier because I like to keep up with Pitt. But don’t want to have to go through all this effort to do it!! While the app is functional, albeit absurdly slow, I have to give it one star because it DESTROYS phone battery with its constant use of location services. While the idea of special event notifications is interesting, perhaps they could access your location "While Using This App," or implement geofencing. Either way, until this is fixed, this is a one star app for me. Sincerely, a dissatisfied undergrad. 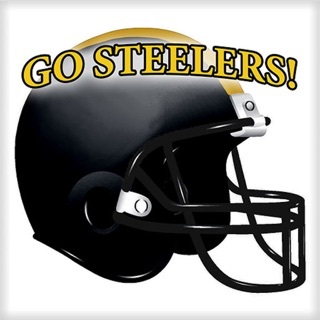 In order for me to watch the Pitt/NC football game, it took 10 minutes to figure out that Raycom Sports affiliate for Pgh is WTAE. 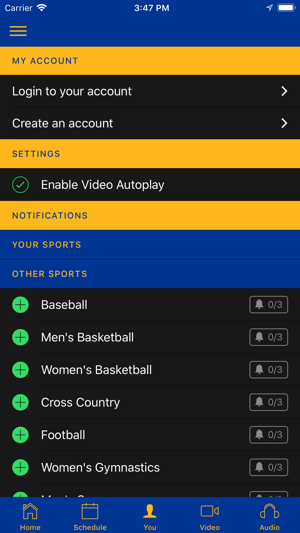 Why not list the local channels on an app that is going to mostly be used locally? I missed the GT game last week because there was a network listed that I had never heard of, only to figure out later that it was AT&T Sports Net. Takes forever to load, slow and uses too much battery power.